DIAMOND BAR, CA – September 18, 2014 – (Motor Sports Newswire) – SEMA, the trade organization representing the $33B automotive specialty equipment market, has been awarded part of a $2.2M federal grant to expand exports of automotive aftermarket products into foreign markets including Russia, the United Arab Emirates and China. The grant, under the Market Development Cooperator Program within the Commerce Department’s International Trade Administration (ITA), will assist SEMA in its efforts to provide exporting opportunities for its more than 6800 members with a new yearly fact-finding and sales mission to Russia; by working with government officials to seek pro-industry regulations that allow U.S. products equal market access; and organizing overseas vehicle measuring sessions in key emerging markets. SEMA Measuring Sessions give member companies the opportunity to study and measure vehicles in order to develop quality products and accessories consumers can use to personalize and customize their cars, trucks and SUVs. The $300,000 portion of the grant allocated to SEMA will enable the association to expand the program overseas and hold such measuring sessions in each market, augmenting its popular three year program of importing non-U.S. vehicles to the SEMA Garage at its Southern California headquarters under special exemption. For the program’s initial phase, SEMA imported a Toyota Hilux, Ford Ranger T6, Mitsubishi L200 and a UAZ Hunter, none of which are sold in the U.S. but have strong followings in Europe, Australia, the Middle East, China and South America. U.S. exports hit an all-time record of $2.3 trillion in 2013, and supported more than 11 million American jobs, according to the Department of Commerce. Over the past two decades, SEMA has developed a successful track record regarding its overseas work. SEMA places a high priority on assisting SEMA-member companies diversify their customer base and assisting its members in taking advantage of export opportunities as the global demand for the automotive industry’s products soars. As the typical SEMA-member company has a relatively small staff and modest budget compared to larger firms, SEMA’s export programs and services serve as an extension to their staffs and fill a vital void by providing needed global expansion resources. 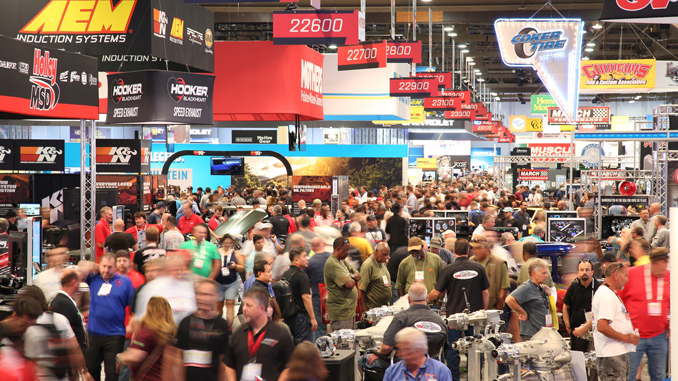 For SEMA members, new geographic markets offer opportunities to create new revenue streams and reach new customers. Numerous studies have shown that exporters outperform non-exporters in terms of wages, productivity and innovation and, equally important, this diversification can make firms more resilient during economic downturns. SEMA assists U.S. companies to identify strategic markets and guide its members along the way. Initiatives include everything from international research to identify developing markets, to working with international officials on legislative issues, to creating venues for SEMA members to connect with international buyers, to trade missions to key countries throughout the year. Additionally, they include importing vehicles popular outside the United States but not sold in the United States in order to assist U.S. companies create export-ready product are just some of these efforts. A partnership with the U.S. Department of Commerce enhanced with a 2011 Market Development Cooperator Program (MDCP) award was a key factor to growing the range and depth of SEMA’s programs beyond the traditional markets to which U.S. manufacturers export such as those in Europe, Australia and Japan. Since September 2011, nearly 300 U.S. companies have traveled to China and/or the Middle East with SEMA, and/or have measured vehicles popular in key overseas markets but not sold in the United States in order to create export-ready product. Export sales, by participants in our one-on-one programs in the Middle East and China has resulted in nearly $50 million in export sales. Thirteen SEMA member companies taking advantage of the expanded SEMA international programs have received Department of Commerce Export Achievement awards with additional awards expected to be presented at this year’s SEMA Show. SEMA, the Specialty Equipment Market Association founded in 1963, represents the $33 billion specialty automotive industry of 6,814 member-companies. It is the authoritative source for research, data, trends and market growth information for the specialty auto parts industry. The industry provides appearance, performance, comfort, convenience and technology products for passenger and recreational vehicles. For more information, contact SEMA at 1575 S. Valley Vista Dr., Diamond Bar, CA 91765, tel: 909-610-2030, or visit www.sema.org or www.enjoythedrive.com. CV Performance Harley Velocity Emulsion Tube… Performance You Can Feel!